Have you been planning for a survival situation? Do you have your bug out bag ready along with weapons, gasoline, and other supplies that you’ll likely need, including stored food? There’s a good chance that you still aren’t ready. You may have all of your camping gear ready to go. You may have power sources. You may have food and water to last you for months. What do we mean? 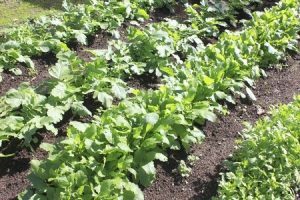 You need the plant nutrients necessary to restart your garden after the immediate crisis has passed so that, once your stored food is gone, you have food growing so that you can continue living. In other words, a good survival plan takes into consideration how to rebuild a life after the crisis, and of utmost importance in that is your food supply. Watch Mike Adams mini-documentary below. What are your thoughts? Have you stored food nutrients already? Or are we nuts? Comment below. I always try to have a couple of 50 lb bags of 16/16/16 for next years garden in case there would be a shortage. We have a dozen or so chickens for eggs, and we use the chicken liter/manure in our raised beds. Works better than Miracle Grow. totally agree,but I’m one of those seasoned gardeners that you talk about. have the chickens and pigs for fertilizer and enough garden space for them and us. don’t need the hydroponics. love your thinking though. keep up the good work. that’s why crop rotation is so important! find out what crops affix nutrients, and rotate them accordingly.